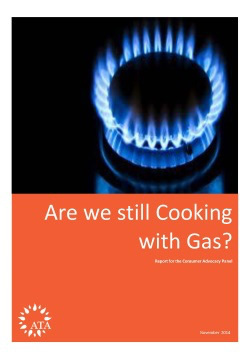 The report Are We Still Cooking with Gas? found that the combination of increasing gas prices and improving electric appliance efficiency is making electricity a cheaper option for many traditionally gas-fuelled energy needs – including space heating, water heating and cooking. Efficient electric appliances include heat pump hot water systems, induction cook tops and split system reverse cycle air-conditioners. The research found that new homes and existing electric-only homes in Victoria, NSW, SA, QLD, the ACT and Tasmania are likely to be locking themselves into higher energy costs over the longer term by connecting to the gas network. This is particularly relevant to homes in new estates, as well as rural and regional households connecting to newly expanding gas networks – often driven by government-subsidised roll out programs. The analysis is the first piece of detailed research that considers the impact of future gas price rises on residential households in Australia. Damien Moyse, the ATA’s policy and research manager, said increasing wholesale gas prices were already starting to bite, and would continue to push up household gas bills. The economics of switching from gas to electricity is best in the warmer climate regions of the country, including South Australia, Queensland and many parts of NSW. These regions typically also have higher gas energy charges. In Victoria, where $100 million is being spent to expand the reticulated gas network to rural and regional communities, the research found that despite this massive subsidy, homes would be better off with electricity and efficient electric appliances. Among a number of recommendations, the report called for an improvement in energy concessions to address cost-of-living impacts caused by gas price rises. It also called for the replacement of government programs to expand gas networks with ones that directly address energy affordability in regional areas. “Our advice to households is to do your research when your next gas appliance needs to be replaced and don’t simply assume that gas is the cheapest option – as you may be locking yourself into higher prices for a long time to come,” Mr Moyse said. Renew is a not-for-profit consumer-based organisation that promotes sustainable living.